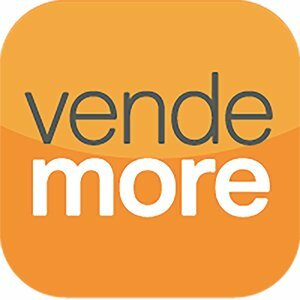 Vendemore provides Account Based Marketing (ABM) by targeting online content-ads to named accounts. The result is increased B2B demand generation, pipeline acceleration and cross-selling. Our customers are complex selling B2B companies in these main segments: B2B software, outsourcing, industrial solutions and consulting. Done well, Account Based Marketing increases marketing ROI, opens doors for sales, and shortens sales cycles. Traditional advertising only works if the goal is to deliver a generic message to a broad demographic. But in B2B, advertising needs to convince stakeholders and decision makers, and must therefore strive to build brand awareness with a tight focus on account ROI. ABM enables a critical shift. By targeting messaging and valuable content to the right individuals at the right time and place - and also by adjusting them according to tracked responses and engagement - marketing can go beyond brand awareness to actual brand relevance, while at the same time actively and intelligently supporting sales. Understanding what your clients and prospects are interested in drives valuable insight, not only for further ABM activities, but also to prioritize accounts and give sales the edge they need. Every visitor is registered, their corporate identity discovered, and their movements across your site analyzed to create a rich profile of their interests and key areas of focus. This is combined and compared with the histories and profiles of other visitors from the same company, to deliver an increasingly accurate picture of both the client's areas of interest and its current position in the purchasing cycle. This actionable insight makes your sales teams both more efficient and far more productive. You might even call it an unfair advantage! Does your marketing fully support your sales team in winning business? A well-executed ABM program can win orders, grow existing accounts or prevent the loss of an important client. ABM is best approached not as a marketing communication tactic, but rather as a vehicle to align marketing and sales, with a clear focus on the organisation's sales objectives. Insights into client needs and challenges are real advantages that help close deals. This is especially relevant in long complex sales cycles, where decisions are spread over multiple buying centres, indistinct influencers and, often, confusing internal procedures. We take an overall company perspective, as well as a look at individual key accounts, to draft your ABM strategy. For successful implementation, this strategy should always be owned and shared between your marketing and your sales teams.